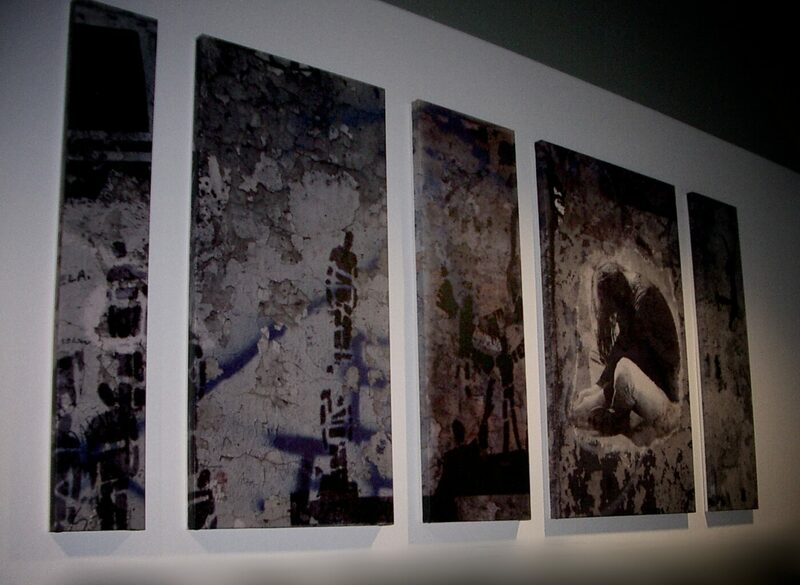 This digital print on canvas is a reflection of time I spent in Berlin (2003). The work is a collage of magazine cuttings and photos taken by myself at Berlin’s East side gallery, where parts of the famous wall still stood. This piece spans 5 canvases each 2 meters high. It is on permanent display at Trent Vineyard, Easter Park, Nottingham.